I've been the GPU reviewer for OCN for quite a bit now and I decided to create a rig just for testing GPUs. 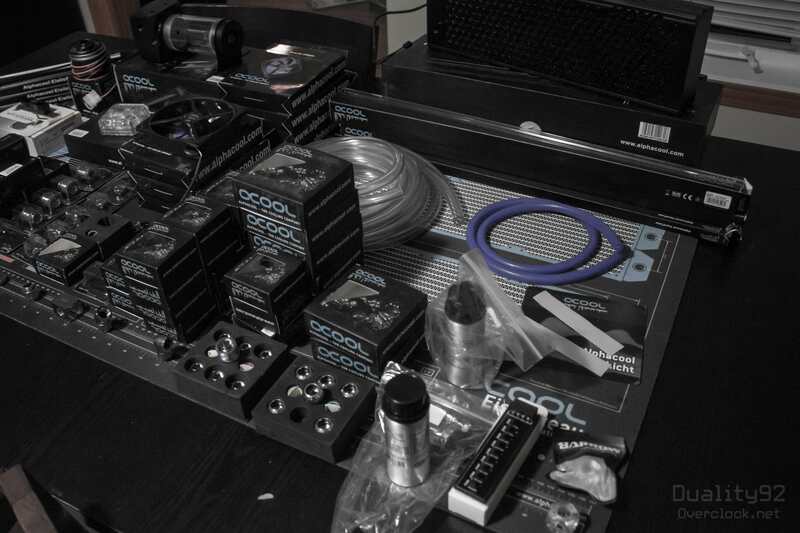 I have partenered up with HighSpeedPc.com, Seasonic, PC Mods Canada, ModMyMods, Aorus, Apacer and Cablemod to bring you the beast of a test bench I will be creating. I will be 3D Printing a lot of things to make this test bench one of a kind. 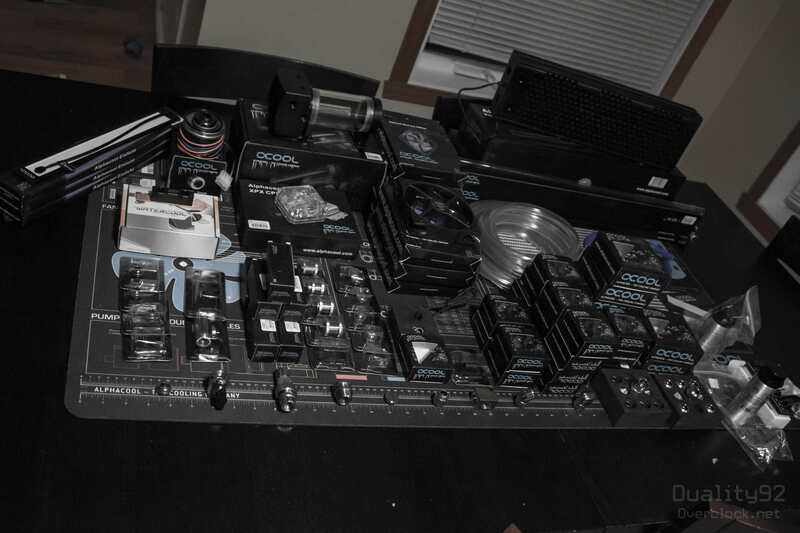 I started out with an XL-ATX bench supplied by HighSpeedPC.com, they make some great test benches, but I wanted more. I told them I would be using two 360mm radiators, they then made a custom solution for me in the form of a standalone base that can hold two radiators with a res/pump between them like a pedestal. I took this idea and started printing brackets to have it attached to the XL-ATX bench as a third bottom tiered section. 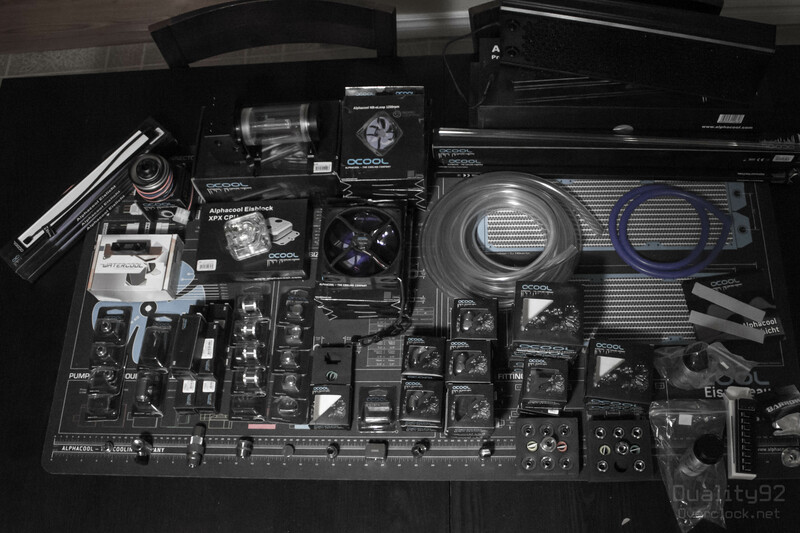 I will be 3D printing a dual PSU bracket, SSD brackets to hold 4 SSDs and new bench posts to accomodate a third tier. Dual PSU? Am I crazy? Why? The CPU, RAM and GPU are made to be easily swappable for various testing, so soft tubing was a must for certain parts. How do you fill an Eisplateau? Like this. Last edited by Duality92; 10-26-2017 at 09:59 AM. Sleeved the pump cables in Darkside Carbon, I'll be removing the connectors again to pass it through the passthrough. So today I got a few things done. I test fitted my 3D printed side combs to keep the cables in check (keep in mind, these screws are only temporary!). I replaced the stock rubber standoffs that the HighSpeedPC.com test bench come with, with regular standoffs for a more permanent solution. 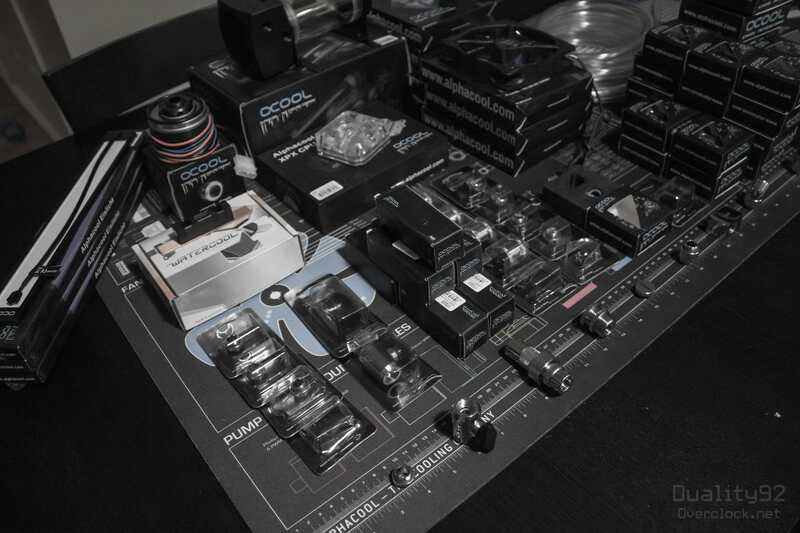 I installed the MNPCTech custom aluminium machined feet with alternate position for the radiator side, I have either symetrical for the test bench itself or I have offset to help with the uneven weight of the vertical pedastal type setup I have. First batch of final pictures, M4 screws for cables holders remain waiting on them to arrive, long lead time though.